The Arizona Minimum Wage poster has been updated to reflect an increase in the minimum wage. The minimum wage rate will increase from $10.50 per hour to $11.00 per hour effective January 1, 2019. The Arizona Minimum Wage poster has been updated to reflect an increase in the minimum wage rate. The minimum wage rate will increase from $10.00 per hour to $10.50 per hour effective January 1, 2018. The Arizona Minimum Wage poster has been updated to reflect an increase in the minimum wage rate from $8.05 per hour to $10.00 per hour effective January 1, 2017. The Arizona Minimum Wage poster has been updated to reflect an increase in the minimum wage rate from $7.90 per hour to $8.05 per hour effective January 1, 2015. 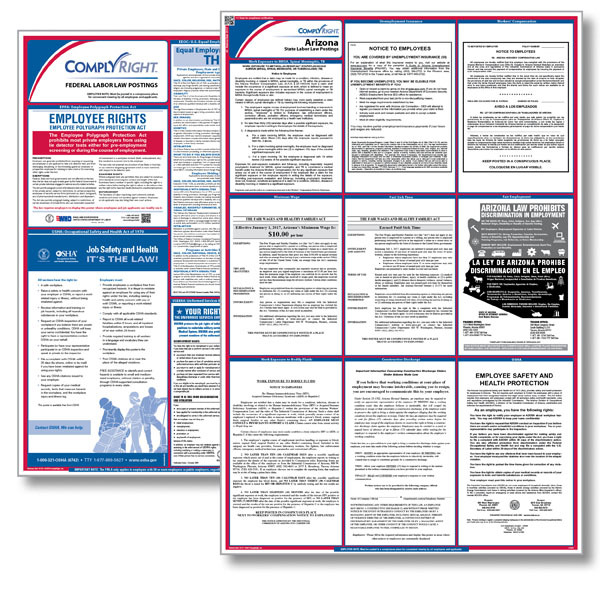 The Arizona Unemployment Insurance poster has been updated to reflect a clarification on how employees can file a claim for unemployment insurance. The Arizona Minimum Wage poster has been updated to reflect an increase in the minimum wage rate from $7.80 per hour to $7.90 per hour effective January 1, 2014. The Arizona Minimum Wage poster has been updated to reflect an increase in the minimum rate from $7.65 per hour to $7.80 per hour effective January 1, 2013. This is a mandatory change. 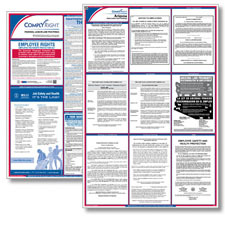 The Arizona Minimum Wage poster has been updated to reflect an increase in the minimum wage rate from $7.35 per hour to $7.65 per hour effective January 1, 2012. This is a mandatory change. The Arizona Minimum Wage poster has been updated to reflect an increase in the minimum wage. The minimum wage will increase from $7.25 per hour to $7.35 per hour effective January 1, 2011. 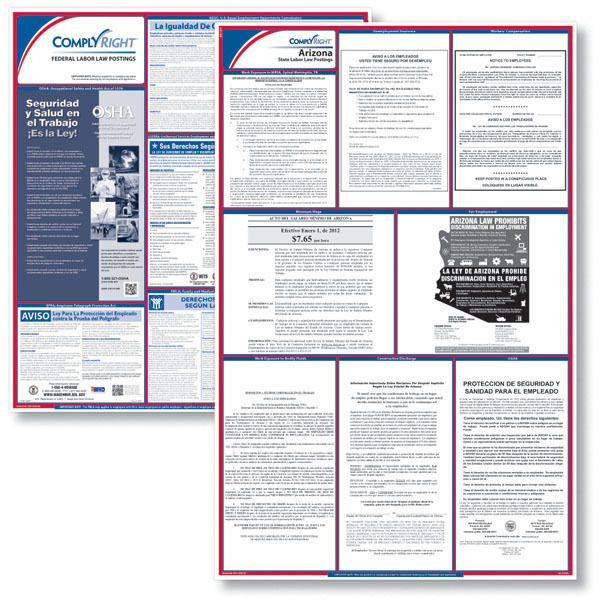 Arizona has released a new mandatory poster that gives employees information on claims relating to work exposure to MRSA, spinal meningitis or tuberculosis. This is a mandatory change. Arizona prohibits smoking in essentially all workplaces and requires employers to post No Smoking signs that include contact information for reporting violations.